The St. Matthias Fellowship held a retreat in September 2017 to reﬂect on the Fellowship's mission, goals, and objectives. It has been almost eight years since St. John's ﬁrst teamed up with St. Matthias School in Deslandes, Haiti. 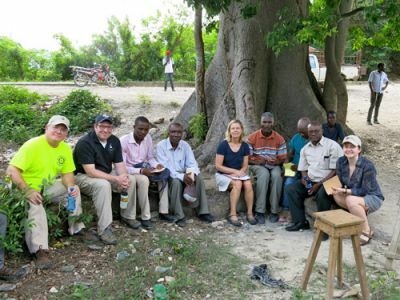 The retreat revealed new insights and ideas about our work together, and aﬃrmed that this ministry is, ﬁrst and foremost, about our relationship with our Haitian partners. At Coffee Hour, October 22, 2017, Laura Swiggett, James Wylie, and Peter Charles gave a presentation on the many tangible accomplishments made by St. Matthias Fellowship and its Haitian partners so far, and the plans to reach the ultimate goal of helping St. Matthias School to become more self-reliant and a thriving beacon of hope for the community of Deslandes. Download the presentation report and view the video of ﬁrst water in the new well. The St. Matthias Fellowship – What Is It? The St. Matthias Fellowship is an outreach ministry of St. John’s Church. As a parish, St. John’s defines “community” in the broadest and deepest sense. We are committed to being active stewards of our gifts and to venturing beyond the doors of our church. The St. Matthias Fellowship is one fulfillment of that intention, and our mission goes hand in hand with St. John’s other local, national and international outreach efforts. We welcome the wider community into the work that we do. 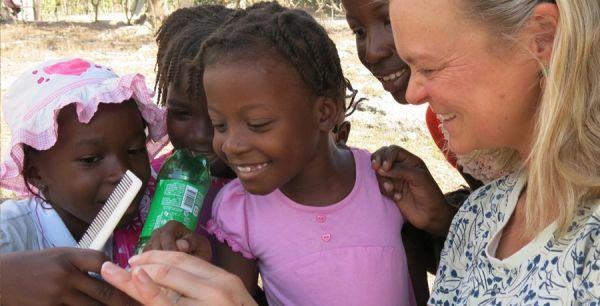 In 2010, in the aftermath of the devastating earthquake in Haiti, St. John’s felt called to find a way to help. Members of the Outreach Committee carved a path to the Rev. Roger Bowen, a very active “retired” Episcopal priest who serves as Liaison to the Diocese of Haiti’s school partnership program, bringing Episcopal schools in Haiti and American institutions together. Reverend Bowen in turn connected us with Archdeacon Jeannot Joseph, who oversees multiple Episcopal parishes and their associated schools, many of which are located in remote and hard-to-access locations within the Central Plateau. Our discernment process together led us to St. Matthias, an Episcopal school and parish in Deslandes. In 2011, we agreed to become partners. 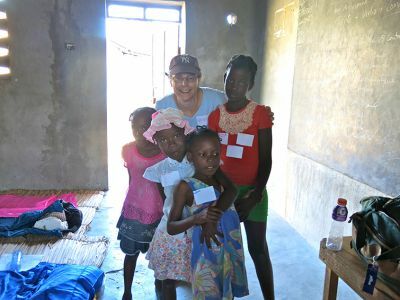 What does a partnership look like between an American Episcopal parish located in a New York City bedroom community, and one in a remote village in the poorest country in the Western Hemisphere? The answer is developing before our eyes and in the hearts of all involved. From the very beginning, members of the St. Matthias committee felt that it was important to build something more than a charitable initiative in the traditional sense. We sought to form a long-term, mutually supportive relationship that transcends language, geography and culture. Our work is to listen, learn, and get to know each other. Through that process, we will discover what we can be in each others’ lives. The parishioners of St. John’s, as well as members of the wider community who have joined the partnership, are committed to standing steadfastly and faithfully with the students, teachers, parishioners and lay leaders of St. Matthias. 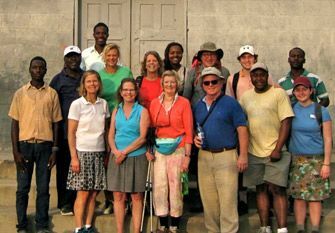 Several delegations of St. John’s parishioners have traveled to St. Matthias, taught in the school classrooms, worshipped and made music with the congregation there, and have seen firsthand the incredible – indeed sometimes seemingly insurmountable challenges – that face our Haitian brothers and sisters. We regularly update the larger congregation with the progress of the Fellowship, part of which is devoted to fundraising and building new facilities for the school. We have organized several Haitian Fêtes, bought and sold Haitian art, hosted Haitian musicians, and our children and parishioners have created art and music to share with the parish of St. Matthias. Many of us are even trying to learn some Kreyol, just as the children of St. Matthias are so eager to learn English. Pere Jeannot and Reverend Bowen have also visited us here at St. John’s. We are grateful for the opportunity to connect with Pere Jeannot, a beacon of light in the difficult, beautiful and highly dynamic country of Haiti. Every day, Pere Jeannot and his staff around the Central Plateau tirelessly push back barriers to progress, from fighting poverty, crime and disease, to strengthening educational and work opportunities for their children and young adults. It is the privilege of those of us at St. John’s to join in this important work and to learn from one another. Every member of our delegations has returned from Haiti feeling rewarded from the experience and inspired by the warmth and unique spirituality of the St. Matthias community. Are you interested in becoming involved? Perhaps you have a child whose school might want to help bring solar power and purified water to the community of St. Matthias. Maybe you would like to join the next delegation to Haiti on one of our annual trips and experience this relationship firsthand. 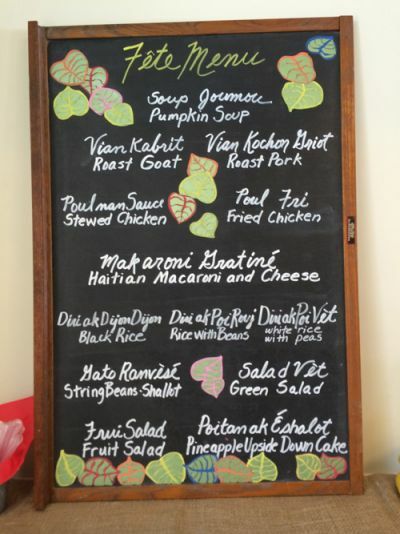 Or attend one of our events, which celebrate the rich culture of Haiti and raise much needed funds to help the school. If you would like to make a donation or learn more about the St. Matthias Fellowship, please contact us at the email below and we will follow up with you. The St. Matthias Fellowship is about building relationships and creating a spirit of togetherness, growth and renewal for us all. Mission Statement: The mission of the St. Matthias Fellowship is to create and foster an ongoing relationship between St. Matthias and St. John’s Church; to listen to each other’s needs; to share our hopes for our children and our communities; to discover the resources we each bring and to respond faithfully. Knowing that good relationships require accountability, we pledge to pray for each other weekly, communicate regularly, and visit as often as we can. The St. Matthias Fellowship presented “Eat, Pray, Love, Sing,” the 2016 Haitian Fête on Sunday, May 1. 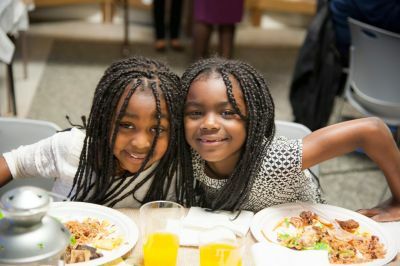 The festivities began with a spirited worship service in the church and continued with lively music, children’s activities, beautiful arts & crafts, raffles, and authentic Haitian cuisine in Bleecker Hall. Photo highlights from Haiti, January 2016. So observed Syncia Cajuste, one of 11 travelers who visited Haiti with St. John’s in January 2015.